This Week in Asia: Is Cambodia’s Koh Kong project for Chinese tourists – or China’s military? It’s only natural that Beijing might show an interest in a tourism development that aims to lure big-spending Chinese tourists to the shores of Cambodia with the promise of casinos, golf courses and luxury resorts. 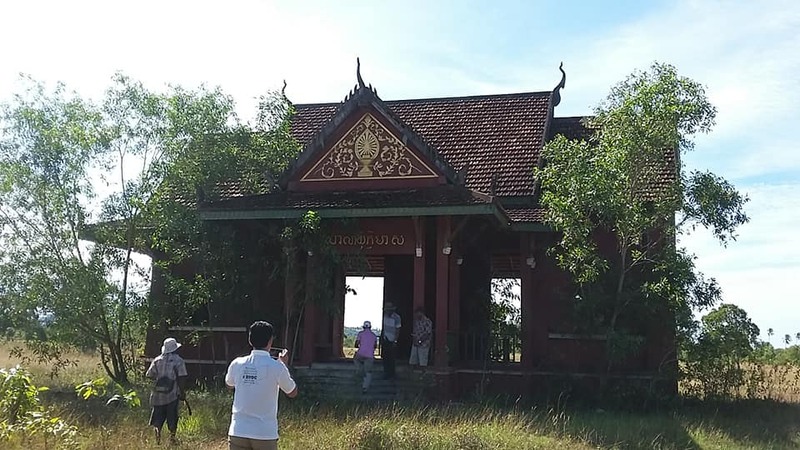 After all, Cambodia granted 45,000 hectares of its prime real estate in Koh Kong province – and 20 per cent of its coastline – to private Chinese company Union Development Group, just so it could build this supposed tourism Mecca, and all for a peppercorn rent that will start at just US$1 million per year. At least, that’s the official version. But sceptics who say the terms of this deal are too good to be true think there’s another reason for China’s interest: they believe the development is as much about welcoming the Chinese military as it is about Chinese tourists. Such scepticism has grown louder recently, with the release of satellite images from the European Space Agency showing that the runway for the site’s airport is far longer than is required for civilian aircraft. Cambodian officials have already been at pains to deny that the project’s deep water port could serve Chinese military interests, so questions over the runway have only fuelled claims that the development serves a dual purpose. “The runway is about 3,400 meters long, which is larger than the international airport in Phnom Penh and could accommodate any plane in the Chinese air force,” said Gregory Poling, director of the Asia Maritime Transparency Initiative at the Centre for Strategic and International Studies. “It is also in a rather secluded location for such a large airport if it were for civilian purposes. The only thing nearby would be the Koh Kong casino/resort project, which as I understand it hasn’t seen much success so far,” Poling said. Reports says construction work at the Koh Kong project has been stalled for months. As to whether the project is intended for military use, Poling said there was “a lot of smoke but no fire”, but he added: “if there is any country in Southeast Asia where the Chinese might be able to gain a rotational military presence, it would be Cambodia”. The satellite images suggest there was a flurry of construction on the runway after US Vice-President Mike Pence delivered a letter to Cambodian Prime Minister Hun Sen in November, expressing concern that the project had a military use. Most of the runway was completed in just two months and it is significantly larger than the Federal Aviation Administration’s recommendation of 2,800 metres for a Boeing 787-900. Union Development Group may be a private Chinese company, but the development has long been suspected of having government connections. Zhang Gaoli, the former vice-premier of China and chairman of the leading group for Beijing’s Belt and Road Initiative, backed the project from the beginning, presiding over the signing of the agreement between UDG and Cambodia. The project has also received multiple visits from other Chinese Communist Party figures, including Wang Qinmin, vice-chairman of the Chinese People’s Political Consultative Conference. Cambodian Defence Ministry spokesman Chum Socheat could not be reached despite repeated attempts, while government spokesman Phay Siphan said he had “no idea” whether the Cambodian government had any oversight of the project. However, Paul Chambers, a regional analyst at Naresuan University, previously told This Week in Asia that senior Cambodian officials privately admitted that Hun Sen was considering approving a Chinese naval base there. Chambers likened the Koh Kong project to Chinese projects in Laos and Sri Lanka. Sri Lanka handed over control of its Hambantota Port to China on a 99-year lease after it became unable to meet its debt obligations to Beijing, which had financed its construction. “In Sri Lanka’s case, over-dependency on China forced Sri Lanka to simply give that facility to the Chinese. The same could easily happen here in Cambodia,” he said. In 2016, China provided 36 per cent of Cambodia’s total economic aid and 30 per cent of its investment capital. Just this year, China pledged an additional US$558 million in aid and promised to import 400,000 tonnes of rice. With the EU and US contemplating economic sanctions against Phnom Penh over human rights abuses, Cambodia’s dependence on China may become even more pronounced. The land for the UDG project is slated to be returned to Cambodia when the lease expires in 2108, but some experts predict China will seek to leverage the situation into permanent ownership. Yun Sun, director of the China Programme at the Stimson Centre, agreed the UDG port had “the capacity for military use”, saying there was “pattern of dual use port development [by China] in Djibouti, Sri Lanka, Pakistan, Burma”. “China has intentionally [pursued] this type of port to avoid controversies,” she said. However, controversy for China may be inevitable.The Koh Kong project is located in a strategic area and could have implications for various sensitive issues, among them the South China Sea territorial disputes, China’s energy imports via the Malacca Strait, and even Taiwan’s sovereignty. The port is directly across from a proposed canal in Thailand that would allow China to bypass the Malacca Strait, a narrow channel used to import the vast majority of China’s energy. The base could also give China an advantage in the South China Sea where the regional superpower is embroiled in multiple territorial disputes with Southeast Asian nations. 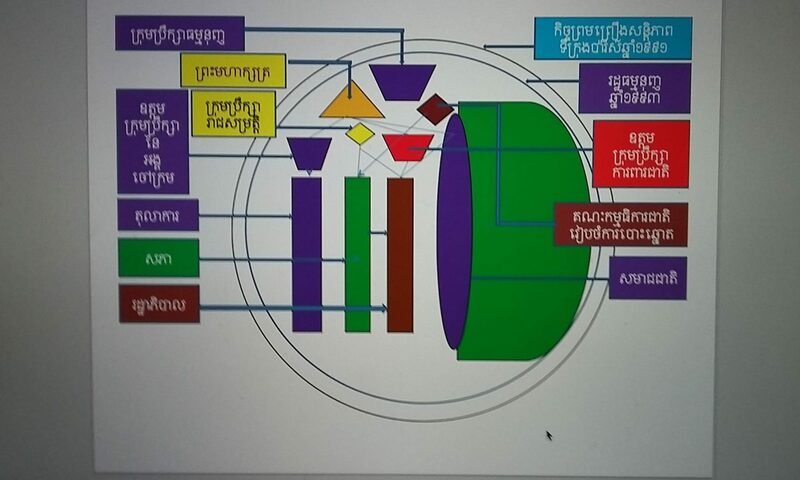 Chambers at Naresuan University said increased military ties, including port calls by Chinese warships and Cambodian-Chinese military exercises, indicated that China had military intentions in Cambodia. While Hun Sen has previously said a military base would be against Cambodia’s constitution, Chambers said the law often seemed not to apply to China. The prime minister may have already alluded to a loophole, one that China previously exploited in Djibouti. While denying the existence of a Chinese military base in Koh Kong, Hun Sen added that no foreign troops would be stationed in Cambodia unless they were part of a United Nations mission. China’s base in Djibouti is meant to support a UN initiative to combat piracy, but the UN has no authority over the base, and China is free to use it for any other purpose it may need. Chambers warned that growing Chinese investment and aid was causing Hun Sen to “tilt entirely into China’s orbit”. “What makes the US and others nervous is that Cambodia’s government appears to be intentionally and even naively digging itself into greater and greater dependency on China, with the result that Cambodia could become the centre of Chinese military and economic interests in Southeast Asia,” he said. Given this pattern, a military base would be the clear next step, said Chambers, who warned that such a move would “raise the stakes” in the geopolitical struggle between China and the US.